Did you ever stop to consider the humility of the three wise men who paid homage to the Jesus? They are called kings, wise men and astrologers. We can deduce that they were intelligent because they studied the stars. They were of some financial means; they undertook a long journey and brought with them expensive gifts. These men had every reason to be proud of themselves in a worldly sense. Yet, they were wise enough to know that someone, so much materially inferior to them, was their superior. Their minds and hearts were open to the inspirations of God, enough so to get them to leave their homes and endure the hardships of the travel ahead of them. These masters of their profession would recognize only one Master. Humility is basic to the other virtues. Love is the greatest of the virtues, per during into eternity. Yet, even love needs humility in order to be authentic love; it forgets about oneself and thinks of the other. Pope Francis often speaks of humility. He himself is a prime example of how to live it. He thinks not of himself but of others -- of leading us all to Christ. Just a couple of weeks ago, he once again reflected on this virtue (homily of Dec. 19 at Casa Santa Marta, Vatican). He said that many Christians think that they save themselves. They are proud. But, it is God who "helps us along the path of sanctity. Only He can do it. We have to realize that we can't do it. We have to ask God to help our faith be fruitful. "Humility is necessary for fruitfulness. How many people imagine they are just .... but who are really [sorry souls (poveracce)]. The humility to say to the Lord: Lord, I am sterile, I am a desert... come and give us life, come and save us, because only You can, by myself I cannot! And with this humility, this humility of the desert, this humility of a sterile soul, receive grace, the grace to flourish, to give fruit, and to give life." 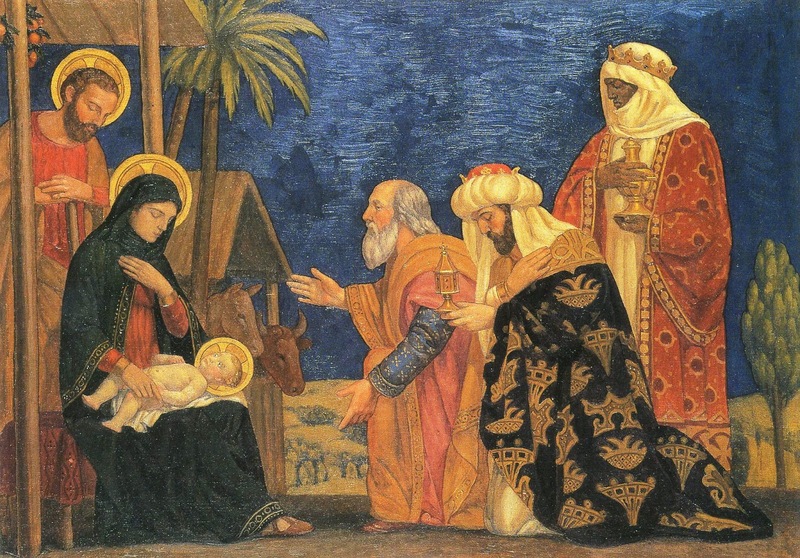 Along with the Pope and the three kings, may we realize our own incapacity. May we know that there is only one Master, Christ the Lord.